Lagos and Kano states record the highest numbers of voice and internet subscriptions in the country – NBS – Royal Times of Nigeria. 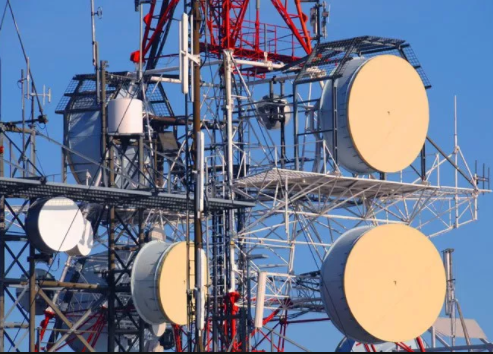 Telecoms data for the fourth quarter of 2017 indicates that Lagos and Kano states recorded the highest numbers of voice and internet subscriptions in the country. According to statistics from the National Bureau of Statistics, NBS, Lagos led with 19,417,181 total active voice subscriptions and 19,118,767 GSM users by the end of the fourth quarter, equaling 13.18% of the total nationwide subscriptions. Kano came second with 7,382,805 subscriptions, while Kaduna was third with 6,642,801; Rivers was fourth with a total subscription of 5,456,860. Bayelsa state accounted for the lowest number of active voice subscriptions in the quarter under review, with 954,353. On a regional basis, the south-west region had the highest percentage of active mobile internet subscriptions, accounting for 31.50% with 31,097,215 subscriptions, followed by north-central at 18.98% with 18,730,188 subscriptions, north-west at 16.21% with 16,001,335 subscriptions came third. north-central, north-east, and north-west regions recorded a decrease in growth when compared with the previous quarter. MTN maintained its dominance of Nigeria’s GSM market, accounting for 36.04% of market share; Globacom came second with 26.31%; Airtel accounted for 25.67% and EMTS ( owners of 9Mobile) occupied fourth with 11.69% of market share. Data subscriptions in Q4 2017, as in previous quarters was dominated by mobile (GSM) internet subscriptions, accounting for 99.7% of all active data/internet subscriptions. In the quarter under review, total active internet subscriptions stood at 98,699,310, a 5.83% growth over the previous quarter’s 93,263,436 active subscriptions. The top 10 states for active internet subscriptions (Delta, Edo, Kaduna, Kano, Lagos, Niger, Ogun, Oyo, Rivers, and FCT) accounted for 53.27% of all internet subscriptions in Q4 2017. Bayelsa, just as in active voice subscriptions recorded the lowest number in active internet subscriptions, recording 681,933.